This was recorded on 28th April 2012. 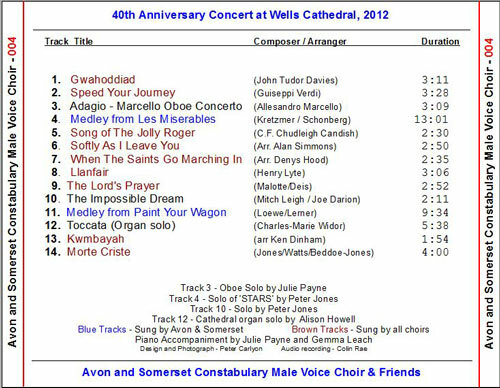 The CD is available at all of our concerts for the bargain price of £6. If you cannot get to one of our concerts and would like to hear the choir, send £8 (to include safe packing and postage) and we will send you a copy. Use the email link on the front page for contact details.